Mustang Suspension Kits from ROUSH®: Carve the corners like a pro! 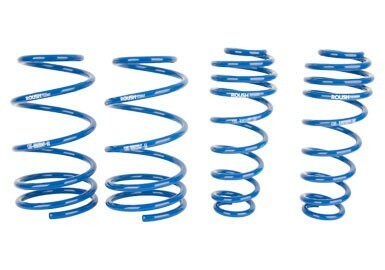 There is more to your Mustang's performance than just horsepower. 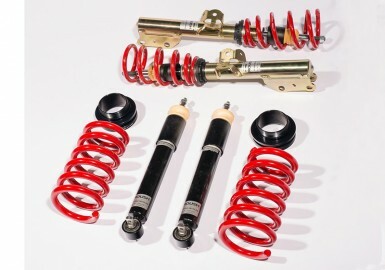 Your suspension system is a key component to the performance and handling of your vehicle. ROUSH's line of Mustang suspension kits and parts are engineered to maintain a high level of ride quality while increasing performance. 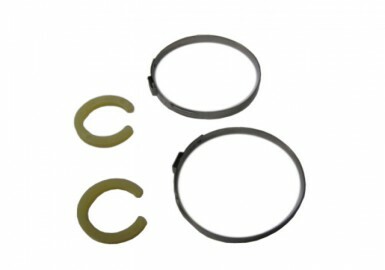 These kits are put through a series of track, slalom, high speed lane change and skid pad test over different road surfaces, giving your vehicle the best combination of ride and handling. 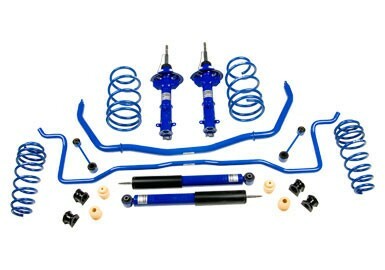 Additionally, ROUSH's suspension kits are designed to integrate seamlessly on to your vehicle.